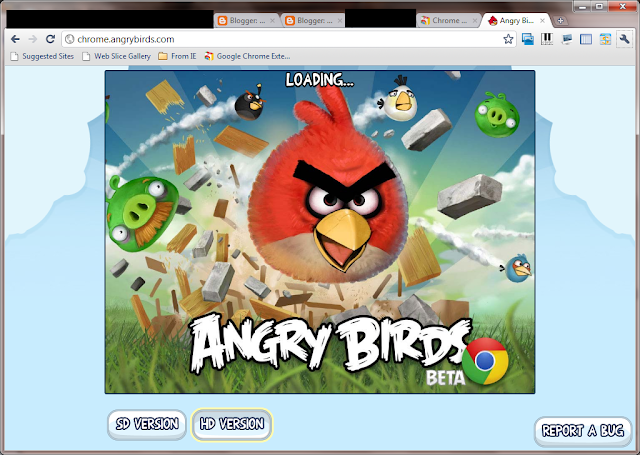 Angry Birds fans, now you have another choice of where to play your favorite Angry Birds game, which is on Chrome. This is a very good news for PC/Windows user because the Windows version of Angry Birds is not being updated like the one for iOS/Android/etc mobile OS. So now I can play the Angry Birds on my Windows. 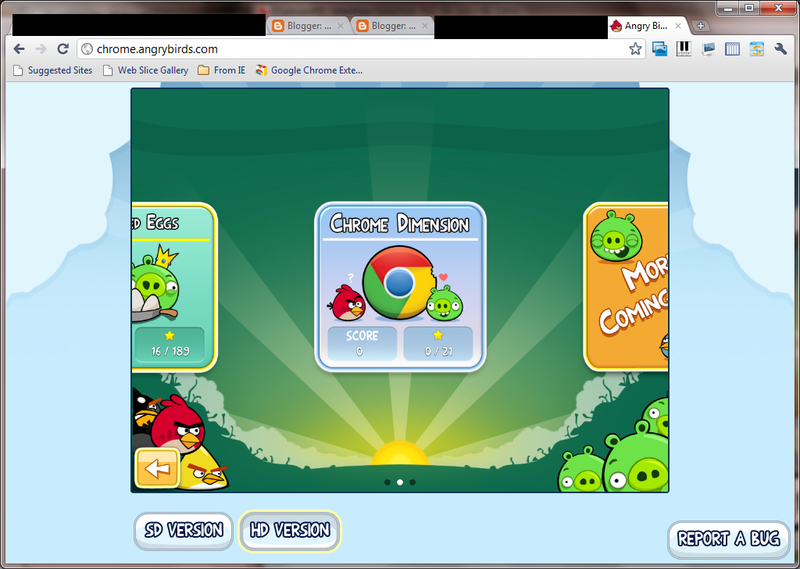 The tricks is you need to install Chrome on your Windows and then head to this link within your Chrome browser to install the Angry Bird. The installation was quick, but first time running will be a bit slow since the Chrome apps need to download the game data files from the server. But after that it will be very quick every time you launch it from your Chrome. I have tried it without connecting to internet and it still works! Rovio (the company that make Angry Birds) even have special levels just for Chrome only! So why wait? 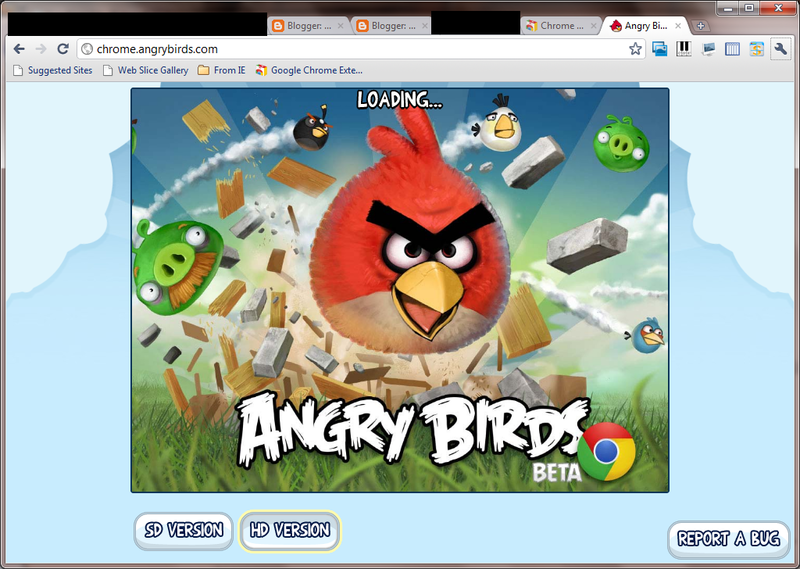 Go download Chrome now and then install Angry Birds.